– Wings (1927) The Paramount Classics Blu-Ray. Get it here on amazon. – Shut Up Little Man! An Audio Misadventure (2011) Click here to get it on amazon. – Hoverboards! Hoverboards! Get your real, working (not actually working) Hoverboards! Go here to pre-order yours, you only have a few days left! – Downton Abbey (2010-11) Click here to get it on amazon. – Interesting Death of the Week with B.K. : Jerome Albert – Astroland founder, Cyclone savior! – Bellflower (2011) Get it here. – Blue Velvet (1986) The Blu-Ray bonus feature of recently discovered deleted scenes. 50 min. worth! Get it here. – Videodrome On-The-Go: Don’t waste your time (and everyone else’s) taking (bad) pictures at The Monterey Bay Aquarium. – Interesting Death of the Week with B.K. 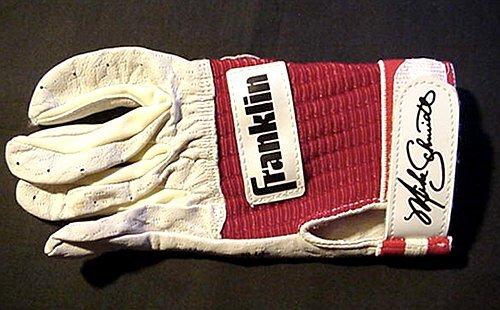 : Irving Franklin – co-creator of the batting glove.